Practice Makes Perfect: the hand has jointed fingers, flesh-like finger tips and comes with replacement exercise nails and an instructional DVD. 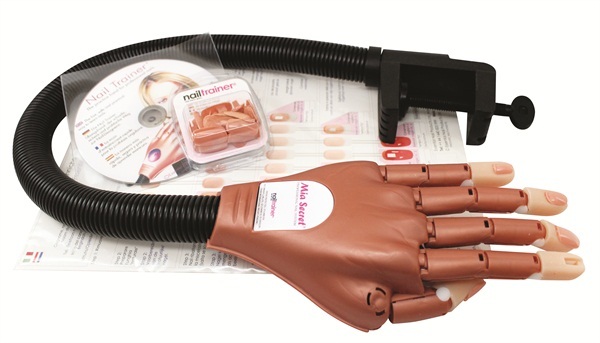 Mia Secret’s new product, Nail Trainer, is a life-like hand for at-home practice or in-class training. The hand has jointed fingers, flesh-like finger tips and comes with replacement exercise nails and an instructional DVD. It’s connected to a flexible arm that can easily attach to a table for more security. Use this tool to practice techniques and improve speed on your off time. For more information, visit www.miasecretnails.com.